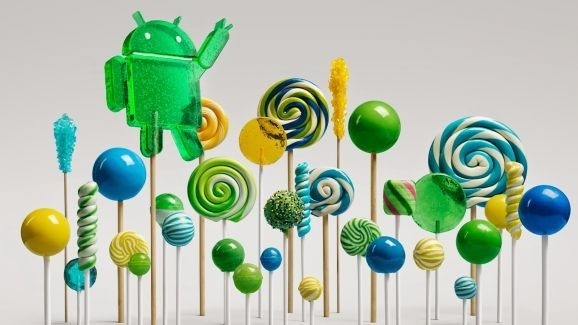 Update: Google announced on October 15 Android L is officially called Android Lollipop. Android L, or its official title, Android Lollipop, is here, and it's brought a raft of new changes, with Sundar Pichai, head of Android, proclaiming it to be one of the biggest upgrades to Android yet. 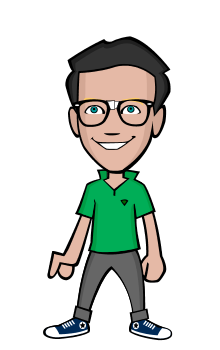 It's got radical new design, 5000 new APIs, has been available as a developer preview for a while, and it's going beyond the mobile form factor. Android 5.0 will be contextually aware of its surroundings, plus voice is going to me a major input source. Android Lollipop continues the legacy of Google's sweet naming system. The experience will also be seamless across devices - phones, TVs, and tablets - so making Android Lollipop devices communicate properly is at the top of the feature list. That said, don't think your handset will get left in the dust. Pichai was at pains to point out the mobile phone will always be the priority. If you've got a sweet tooth for all the information about Android Lollipop, then you've come to the right place. Here's everything you need to know about Google's new mobile platform. What will it cost? Nothing, it'll be free, but some handsets will take longer to get it than others. Here's what most of you will be wanting to know: when can I get it on my phone? Well, developers with a Nexus 5 or Nexus 7 have had access to early builds since June 26. For the rest of the folk in the world Google has said it will be available for the Nexus 4, 5, 7, 10 and Google Play edition devices 'in the coming weeks' - so some users should be seeing it show up come November, if not before. "HTC is excited about the new features in Android L and we can't wait to share them with our customers. We are committed to updating our flagship HTC One family as fast as possible. "We will begin rolling out updates to the HTC One (M8) and HTC One (M7)in regions worldwide within 90 days of receiving final software from Google, followed shortly thereafter by other One family members and select devices." Motorola has also confirmed that Android Lollipop will be hitting the Moto X at some point and OnePlus has committed to bringing it to the OnePlus One within three months of Google releasing a final build. Of course, what would a new Android OS launch be without new hardware from the Silicon Valley-company itself? To satiate our sweet tooth Google has announced a new Nexus 6 phone built in collaboration with Motorola and Nexus 9 tablet designed with HTC to accompany Android L's release. Head on over to our Android 5.0 Lollipop release date article for full and up to date information on each manufacturers Android Lollipop release schedules. If you're wondering about how much this update will cost the good news is Android 5.0, like all previous updates, is free. The big news for Android Lollipop is the change to the way it looks - and it's going well beyond the mobile phone to the tablet, TV screen, watch and even the car. The new Material Design is strange in that it bucks a trend at the moment - yes, it's flat, but it's heavily based on making every animation, every ripple, every shadow look real, which is something that most brands are shying away from. Google tells us that this feels more intuitive, which means that there will be shadow gradients, 3D tiles that slide over one another and most importantly: access for developers to use this for themselves on their apps. The idea is obvious: remove the fragmented way Android looks and bring consistency to the app world no matter what device you're on. Google intends to create an expansive ecosystem that will allow you to start a song on one device, move to another room, pick up a separate Android device and continue right where you left off. The Roboto font has been updated too, so everything from watch to TV to mobile looks the same. Every animation on screen will be allowed to connect to one another - so there's no 'teleportation between apps'. The home, back and multi-tasking window buttons on Android 5.0 have been refined too, and overall, this is a massive step forward for a cleaner, more intuitive-looking version of Google's mobile platform. To get a taste of Material Design now just head on over to the Play Store on an Android device, as the material design update is currently rolling outfor it and the Google Chrome app. Notifications on Android Lollipop are getting an overhaul, so only the more relevant information about your apps is being presented. You can even adjust the OS to display notifications from the most important people and apps during the evening hours or an important meeting. The notification panel is being merged with the lockscreen so you can see what's going on as you pick up the phone, and a simple swipe up takes you into the phone. Imagine that the lockscreen is similar to the notifications panel now, and you're pretty much there. Android Lollipop will also learn from you, working out what you look at and interact with more often to prioritise that notification. Another big change is that notifications will flow over the screen at the top - get a call when you're playing a game and it will pop up at the top, asking if you want to take it. This will likely be the same with messages etc too, meaning less intrusion at the wrong times. The lockscreen on Android 5.0 is getting smarter as well - if you've got a specific location set up, or are wearing a Bluetooth device, the phone will recognise you and unlock without a PIN. Move away or take your watch off and you'll need to tap or swipe in a code when you unlock - or you can even use your voice.